The FBI has the iPhone of one of the San Bernardino assailants – but can’t unlock it to find what information is waiting inside. Apple could enable the federal government with a “key” to the “backdoor,” but is resisting that pressure based on the privacy of information it guarantees to users. The latest punch in this fight came Thursday, when Apple filed a motion to dismiss the court order obtained by the FBI. NIU’s David Gunkel explains why the situation between the FBI and Apple is nothing new – and why he thinks Apple should continue to stand its ground in opposing the FBI’s court order. 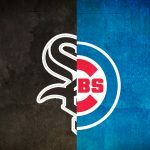 Speak Your Mind: White Sox or Cubs?